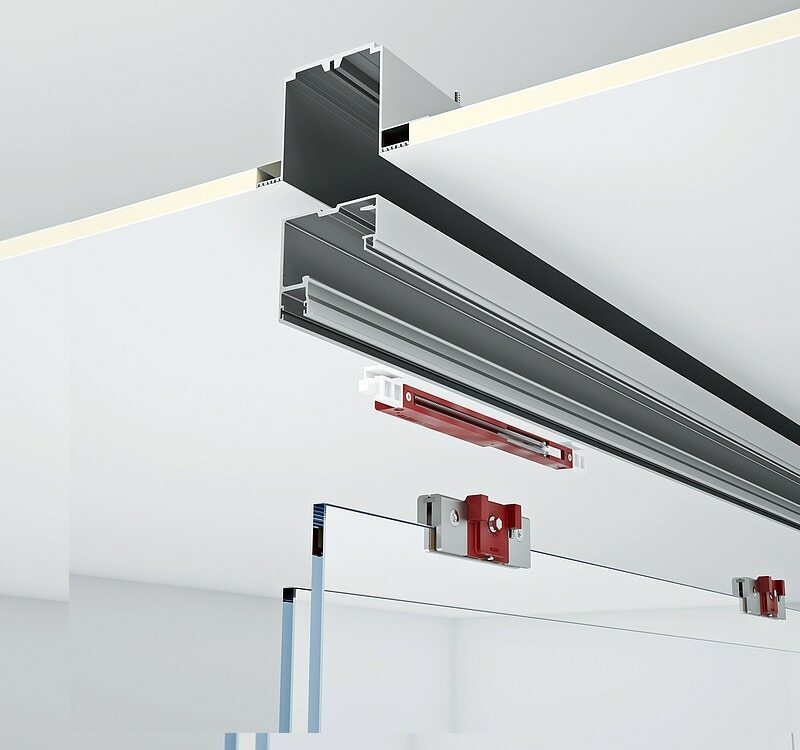 The Rollglass+ sliding door system makes it possible to create attractive glass fronts by combining fixed and sliding panels on a single track. 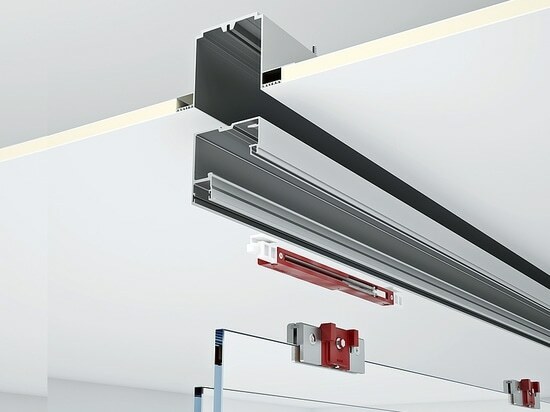 It can either be attached to the ceiling or be recessed into a false ceiling. Thanks to its minimalist design with slimline surfaces, the system radiates elegance and can be used in many different environments. The tracks consist of silver, black or bronze-coloured extruded aluminium. Installation is easy and intuitive in just two simple steps. The well-thought-through design of the Rollglass+ sliding door system meets high expectations for a refined appearance and ease of assembly.